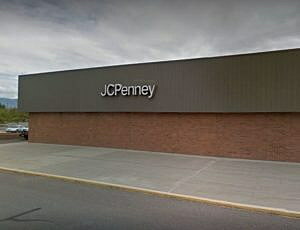 The JC Penney store in Missoula will remain open through the latest round of closures. The JC Penney stores in Missoula and Billings survived the company’s latest round of cuts, though two other stores in Montana will close as the company continues to consolidate. On Friday, the company announced that it will close roughly 138 stores nationally, including those in Helena at the Capital Hill Mall and the Main Street store in Sidney. The company will also close a supply chain in Lakeland, Florida, and relocate another supply chain in California. In a press release, the company said the closures are part of a continuing effort to advance sustainable growth and long-term profitability. Most affected stores will begin the liquidation process on April 17, the company said. Two years ago the company announced it was closing nearly 40 stores and laying off more than 2,000 employees. “It became apparent to us that our footprint was too large,” Penney CEO Marvin Ellison told investors in February, adding that the closures will “allow us to raise the overall brand standard of J.C. Penney” and invest in remaining stores. While the Missoula and Billings stores survived the cuts, recent box store closures in Missoula have included Sears, Staples and Sports Authority.